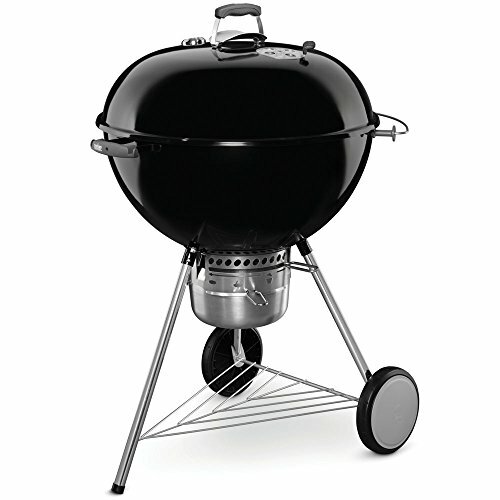 Stainless steel dome core with powder-coated wrap, high grade ceramic cooking floor. Ultra-premium insulation, both in quality and thickness, for outstanding heat retention. 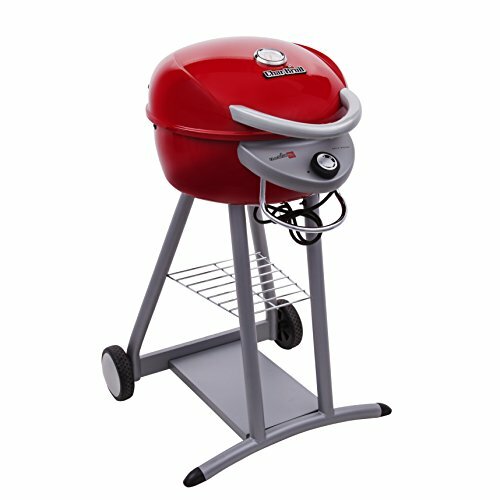 Cooking floor 28″ width X 24″ deep; all stainless steel landing. Four wheels for maximum portability. 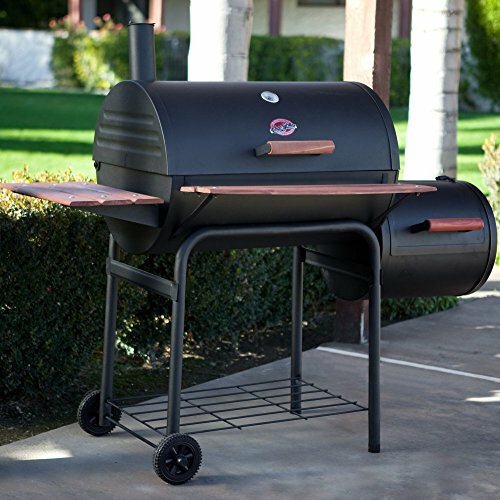 The Bella Medio 28″ Portable Wood Fired Oven is made from 304 stainless steel and features a 28″ wide and 24″ deep cooking floor. 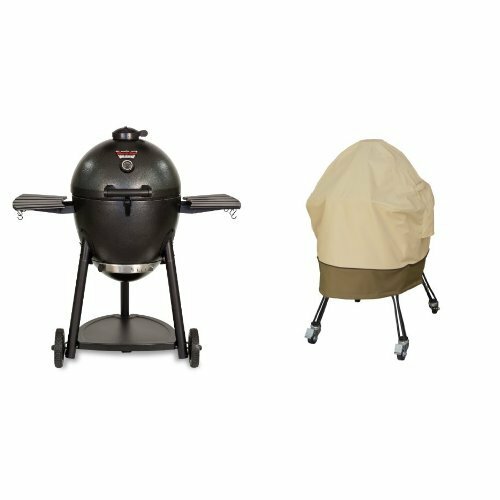 Its rugged powder coated enclosure is more protective against the elements vs other high gloss imports that easily wear in the sun. 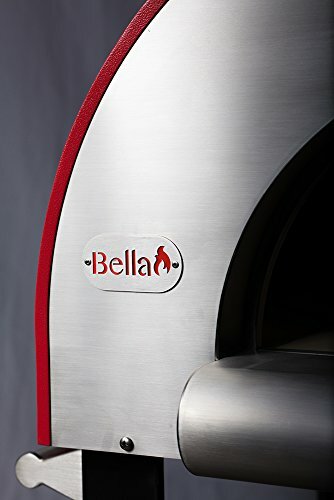 Our Bella series ovens are designed with at least 2″ of high-tech ceramic dome insulation, as well as at least 2″ of ceramic board floor insulation for quicker heat-up times and maximum heat retention. 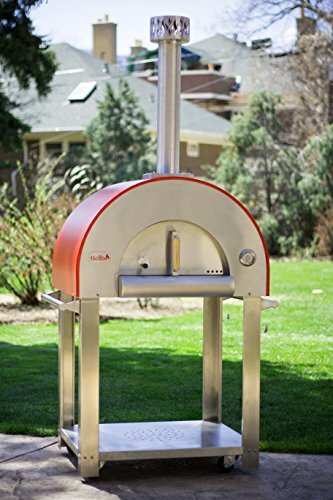 With no curing required and light-weight solid weld dome construction, instantly enjoy up to 40 pizzas per hour (3 -10″ pizzas at a time) and easily roll into place with four durable casters. 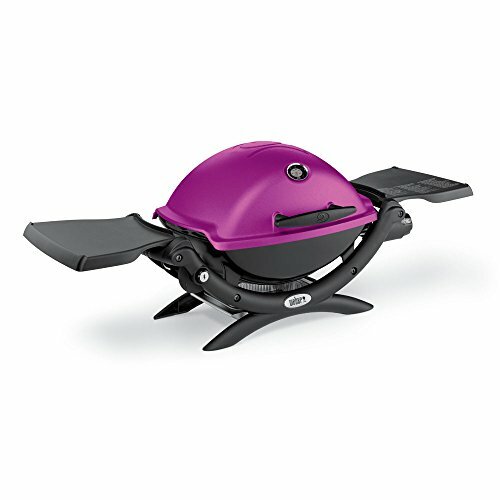 Can be used as a portable pizza oven cart, or installed on a countertop. Setup of the cart, vent and flue take less than an hour. 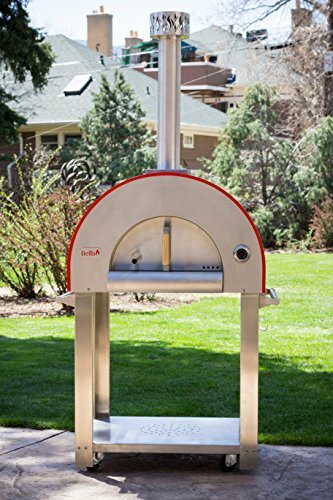 This outdoor wood fired pizza oven is proudly Manufactured in the USA. 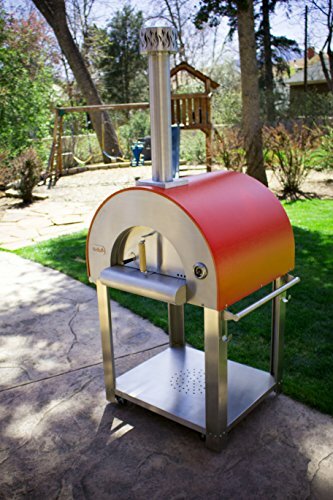 Fast 15-minute heat up time and cooks 3 – 10″ pizzas at a time – or 40 pizzas per hour.